The Terminator 4 (T4) is Chelsio’s fourth generation Terminator ASIC. 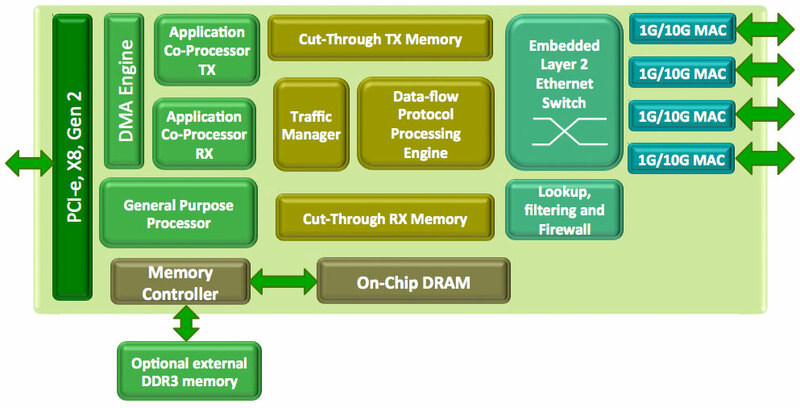 A high performance purpose-built protocol processor, the Terminator 4 (T4) has a single processor data-flow pipelined architecture that delivers up to one million connections and enables the possibility of a Unified Wire, with concurrent multi-protocol operation. The Unified Wire is a concurrent multi-protocol adapter – the only one in the industry. By having all the protocol processing performed in hardware instead of in software by the CPU, the Unified Wire enables higher performance and efficiency, better ROI and delivers a future proofed architecture.